Christmas is just around the corner, and the kind folks of Hildebrand is giving JustWandering readers a colorful Schützen notebook! To get one of these cute notebooks, you just need to answer one simple question: What’s the best place you traveled to this 2009? So easy no? Post your answers in the comment box, and I use the handy dandy Random.org List Randomizer to pick the winners. 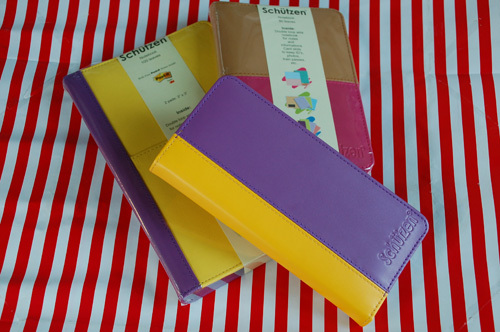 The person who land in Number 1 gets the slim 80-leaves yellow and purple notebook; Number 5 gets the medium-sized 80-leaves beige and pink notebook; and the lucky Number 9 gets the big 100-leaves notebook. Contest is open to Metro-Manila residents only. Contestants can join by posting their answers in the comment box. Only one comment per person. Making multiple comments, or worse, spamming will not raise your chances. Winner will be picked through Random.org’s List Randomizer. Number 1 gets the slim notebook, number 5 gets the medium notebook, number 9 gets the big notebook. Winners will be announced on December 26 through this blog and through e-mail, so be sure to leave a valid e-mail address! Syempre masaya rin ang Bangkok! We need to watch an actual tennis match next time, though! Taking a bite of the Big Apple (New York City) is my best trip for 2009 – that’s why having a bite is not enough – so now I’m back to saving up again for another trip this time to gobble up the Big Apple. The best place I’ve traveled this year is Souther Leyte. It’s my hometown. Nothing beats reuniting with old friends and laughing while reminiscing all the hilarious things you did as a kid Plus speaking Bisaya all day to boot! The best? Hmmm… Coron was awesome, but I’ll have to stick with Boracay kasi it was just me and my hubs who went there. Quality time… Yihee! The best place i went this year would be Taipei, Taiwan. First, the food is fantastic, second, the people are friendly and I felt at home there and third, it’s cheap!!!! This year, my husband and i spent our second honeymoon in El Nido, Palawan.